Mmm… Lomo Saltado, Cebiche or Causa! Peru boasts the finest cuisine in Latin America. 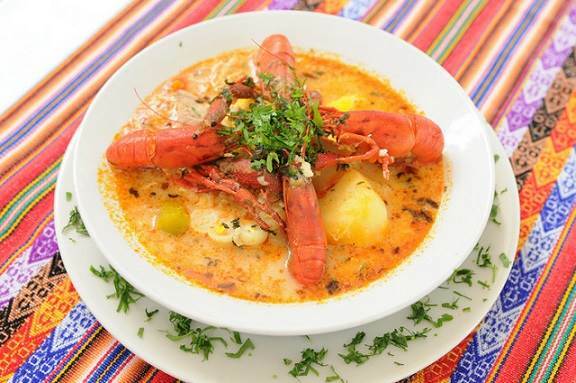 Recipes such as cebiche (raw fish marinated in lemon juice), pachamanca (meat and vegetables cooked underground), chupe de camarones (shrimp soup), aji de gallina (spicy chicken) and juane (cornmash pastries) are just a few of the mouth-watering dishes served up in Peru. The quality and variety of dishes in Peru are due to several reasons. 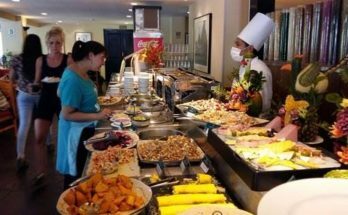 First, Peru’s ecological and climactic diversity (Peru is home to 84 of the 104 eco-systems existing on Earth) has given rise to a major supply of fresh produce, which any chef would be ecstatic about. The rich Peruvian fishing grounds abound in fish and shellfish species, the heart of the succulent coastal gastronomy; rice, fowl and goat, meanwhile, are the key ingredients of Peru’s north coastal cooking. In the Andes, meanwhile, delicious ingredients such as the potato and sweetcorn in all its varieties, plus cuy (guinea pig) and aji chili pepper are the basis of highland cooking and are to be found across the country. 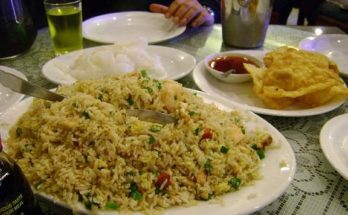 African contributions to Creole cooking, Italian pastas, Japanese preparations of fish and shellfish and Chinese culinary methods which have given birth to one of the most popular gastronomic traditions in Peru: chifa. But the originality of Peru’s cuisine does not stem just from its traditional cooking -rather, it continues to incorporate new influences, preparing exquisite and impeccable dishes that have been dubbed the New Peruvian Cuisine. It is a veritable privilege to experience Peru’s cooking. While Thai food is now as common as fish’n’chips in Britain and the rest of Europe, Moroccan food in Marks and Spencer and sushi already coming out of our ears, many are tipping Peruvian cuisine to be the next big thing in the US and Europe. Obviously food can play a big part in your holiday in Peru, and we don’t think you’ll be disappointed – for our money it’s easily the best in South America and could well be just about to step up to the world stage. Peru boasts several good lagers: particularly Cuzque ña and Arequipeña. Although originating from Cuzco, you can find Cuzqueña throughout the country and it is generally acknowledged as being the best in Peru. Peru produces good dessert wines, particularly in the area around Ica but they are usually a bit sweet to drink with a main course. Where Peru does excel is in the production of Pisco – the traditional Peruvian brandy – this is a clear brandy that is drunk neat, with mixers and in cocktails like the famous Pisco Sour – see the recipe for instructions! 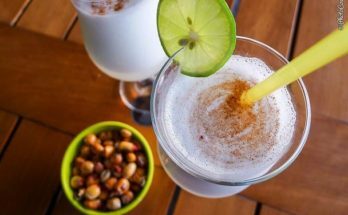 Pisco is currently the subject of international arbitration between Peru and Chile as the chileans are claiming that they ‘invented’ both Pisco and Pisco sours. Without getting too involved, we’ll just note that the area around Pisco was where the first vineyards in the New World were planted and that the brandy from this area has been known as ‘Pisco’ since the 17th century. By contrast, the Chileans renamed their village of La Union to ‘Pisco Elqui’ in 1936 by government order… Draw your own conclusions! If you need more information regarding this issue or any other please feel free to contact us !